Children raced barefooted over the sharp chert streets, through the puddles of sewage and stagnant water, they darted on wooden slabs through sodden mounds of plastic and glass bottles, discarded TV’s, broken bicycles, and hulking carcasses of refrigerators reclining in the poison that was once a thriving mangrove swamp. The children’s laughter floated on the breeze along with tattered and torn plastic bags. The games they played were recognizable, their smiles shared by children the world over but the backdrop for their games was unimaginable. 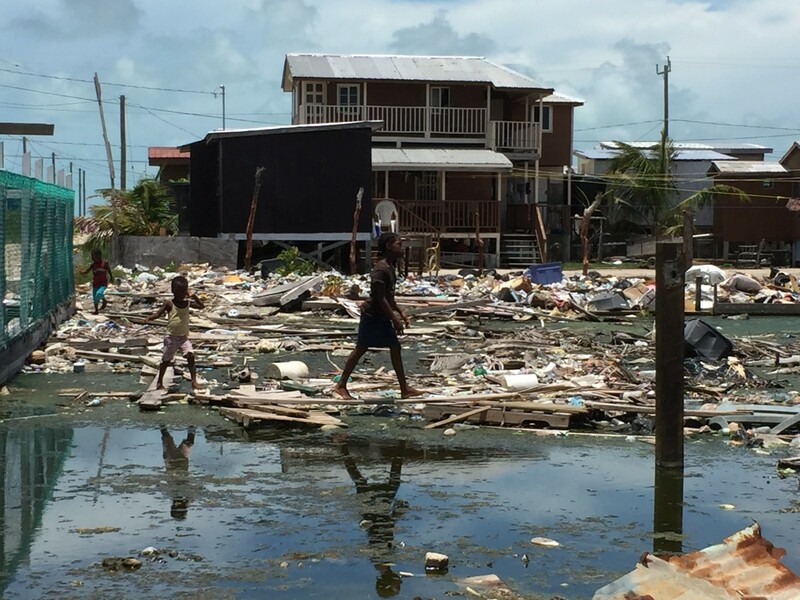 Imagine human beings conducting life: going to school and work, hanging clothes on a line to dry, frying plantains, going to visit a neighbor, walking to the store all in a cesspool of sewage and garbage and struggling mangrove trees. Despite it all life moves on…birds fly by, huge iguanas lumber across sun-warmed roads and dogs lie under almost every house usually on a board or plank to keep them out of the fetid water. The children tell me that these neighborhood dogs often disappear with only a bit of rope left behind, presumably eaten by a crocodile living in the polluted lagoons or under the houses. 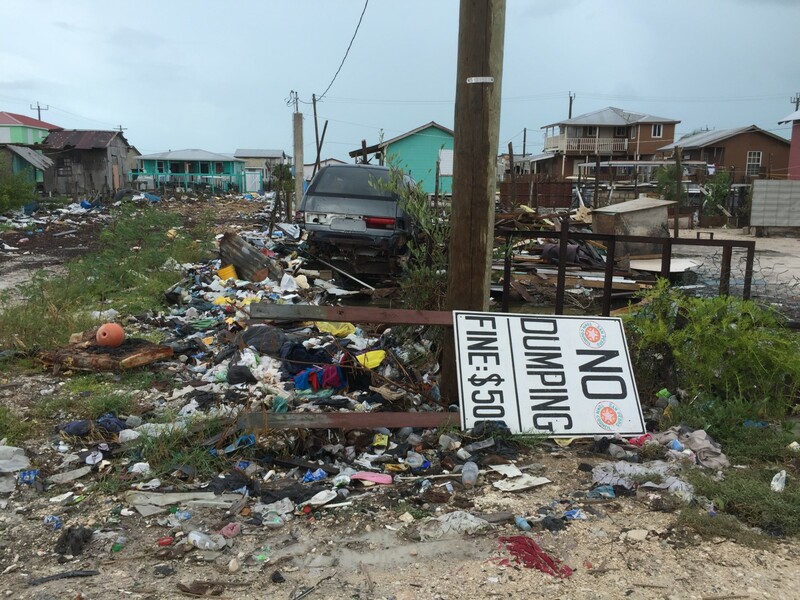 Life moves on… The sewage lines the government got a grant to install pass right by this village of ### people and proceed north to drain the resorts of their stinky and unsightly waste. All the while the people of San Mateo are left to fend for themselves. Many do not have power in their homes; some have water only from a cistern, a year ago the roads we bump along were not even here. The roads are another story entirely. Despite the challenges of life on this small island and in this impoverished neighborhood the indomitable spirit of the children was invigorating for my bruised spirit. They exude a thirst for learning and for attention and for having fun. We played games about good hygiene, we made coral polyps from marshmallows and we washed and washed and washed our hands. We saw phosphorescent algae and caught crocodiles in the mangroves and talked about how trash and waste makes the lives of animals harder too. We made crafts and colored and talked about how to clean things up in their neighborhood. We tested water from under houses, from cisterns, from pipes traversing the putrid lagoons and bringing water into the houses. We snorkeled with a giant black grouper and his family, a Green sea turtle and 100’s of nurse sharks at the Hol Chan Marine Reserve on the MesoAmerican Reef. We learned about the three different kinds of mangroves in the swamp and why they are important and need to be protected. We rode all over the community with golf carts over filled with children and more running behind. We met family members and even had a few join us for some camp days and on several excursions. The day I left Debra Gannon Milstead took two of our campers to Ecologic Divers where they will begin an internship. For me Belize, all the volunteers and the children of San Mateo provided me with an eye opening experience for sure.